ersonal Genome Diagnostics (PGDx) said today that its 500+ gene pan-cancer tumor profiling tissue assay is being used by Merck & Co. in a Phase II clinical trial designed to assess patient response to a dual biomarker-directed precision oncology combination therapy in patients with previously untreated advanced non-small cell lung cancer (NSCLC). Personal Genome Diagnostics (PGDx) said today that its 500+ gene pan-cancer tumor profiling tissue assay is being used by Merck & Co. in a Phase II clinical trial designed to assess patient response to a dual biomarker-directed precision oncology combination therapy. PGDx’s elio tissue complete assay is being used during the trial’s enrollment process to analyze patients’ tumor mutational burden (TMB) status, the company said. 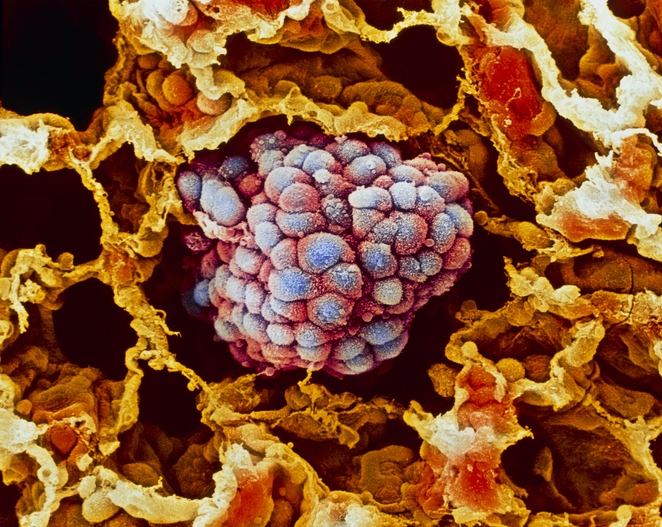 The Phase II KEYNOTE-495 trial (NCT03516981), also known as KeyImPaCT, is intended to evaluate the effectiveness of a biomarker-based cancer combo in patients with previously untreated advanced non-small cell lung cancer (NSCLC). The study will involve more than 70 clinical sites worldwide. Patient groups are defined by a biomarker-based classifier, such as TMB and gene expression profile [GEP]. Patients are randomized to receive Merck’s Keytruda® (pembrolizumab) with either Merck’s humanized IgG4 monoclonal antibody candidate MK-4280 or Eisai’s marketed cancer treatment Lenvima® (lenvatinib). The Merck trial was one of two announcements today by PGDx about the elio assay. PGDx also disclosed the launch of a strategic partnership with and KingMed Diagnostics, a leading laboratory services provider in China, designed to serve the clinical trial screening needs of pharmaceutical partners in Asia through testing sites in China and Hong Kong. The companies agreed to establish KingMed Diagnostics as a qualified clinical trial testing site for the elio assay, with a focus on TMB and other variants of relevance for immuno-oncology drug development. Upon approval by regulators, the partnership could also enable local access to the technology for cancer patients in China, drawing upon KingMed’s 37 laboratories covering more than 21,000 hospitals and clinics. PGDx specializes in high-throughput, next-generation sequencing (NGS) and proprietary algorithms to identify alterations in complex cancer genomes. PGDx aims to develop a portfolio of regulated tissue-based and liquid biopsy genomic products to enable local NGS testing in laboratories worldwide. The company says it provides genomic solutions—from biomarker discovery to companion diagnostic development—through its CAP/CLIA certified laboratory. Headquartered in Baltimore, PGDx was founded in 2010 by Johns Hopkins University researcher Victor Velculescu, M.D., Ph.D., and Luis Diaz, M.D., a former Johns Hopkins researcher who is now Head of the Division of Solid Tumor Oncology in the Department of Medicine at Memorial Sloan Kettering Cancer Center. According to PGDx, the two were the first to perform genome-wide sequence analysis of human cancer, with the goal of bringing novel diagnostic approaches to patients with cancer. In October, PGDx won $42 million in financing from Innovatus Capital Partners, saying at the time that proceeds would be used toward supporting its strategic initiative to bring regulated in vitro diagnostic (IVD) genome testing to cancer patients and their physicians worldwide. The company also completed a $75 million Series B financing in January 2018 that was co-led by new investor Bristol-Myers Squibb and existing investor New Enterprise Associates (NEA).